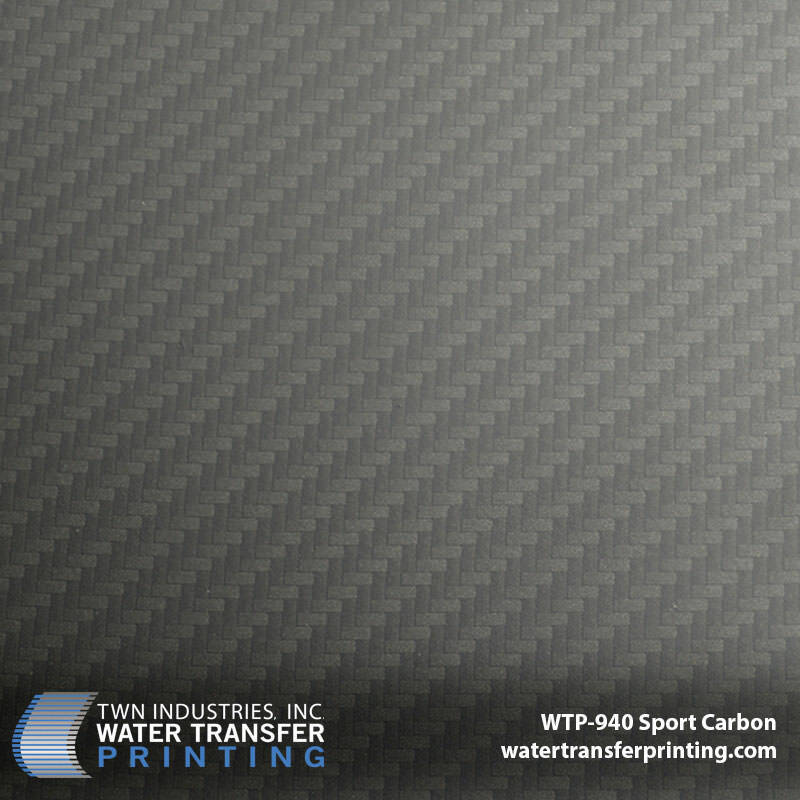 Sport Carbon™ is a shockingly realistic carbon fiber Water Transfer Printing film with a perfect balance of interlocking weave elements and smooth gradients. 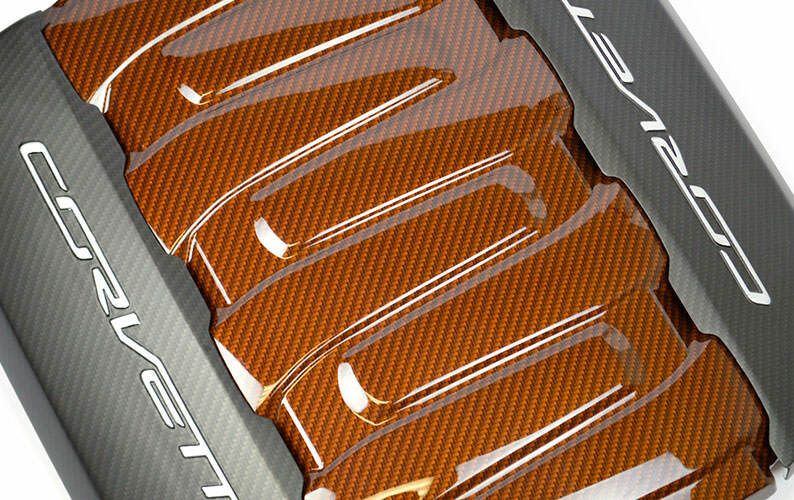 Sport Carbon looks like genuine carbon fiber, especially when our 15% sheen clear coat is applied over it. We have tested our Sport Carbon pattern with a variety of different base coats and clear coats. If you are looking for the most realistic representation of true carbon fiber weave, we recommend using our 15% sheen clear coat. 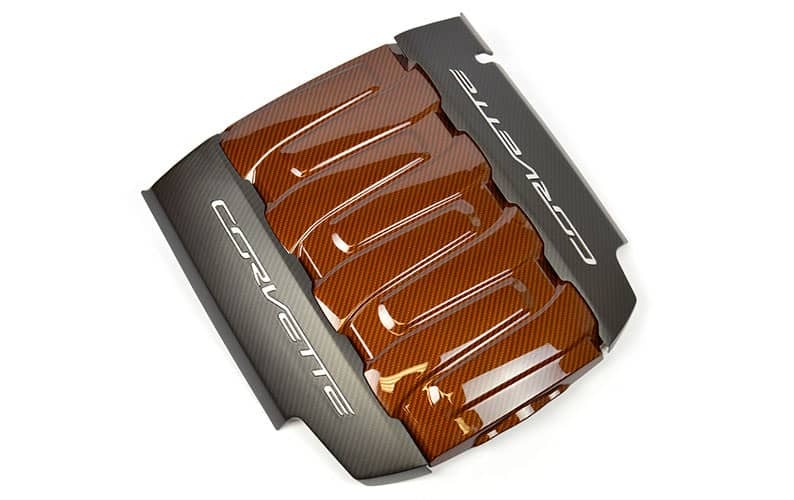 This will not only provide a realistic carbon fiber finish, it will also provide enhanced durability and UV resistance. Use Sport Carbon with a charcoal base coat color to increase realism or experiment with vivid base coat colors to make your projects really shine. 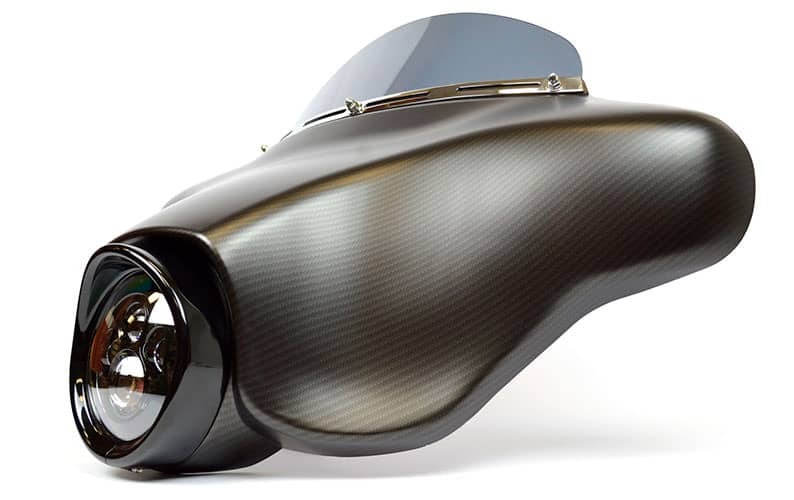 This Harley batwing fairing from ABS Fairings was transformed with our all-new Sport Carbon pattern. This project was a true testament to the quality of our Water Transfer Printing films. 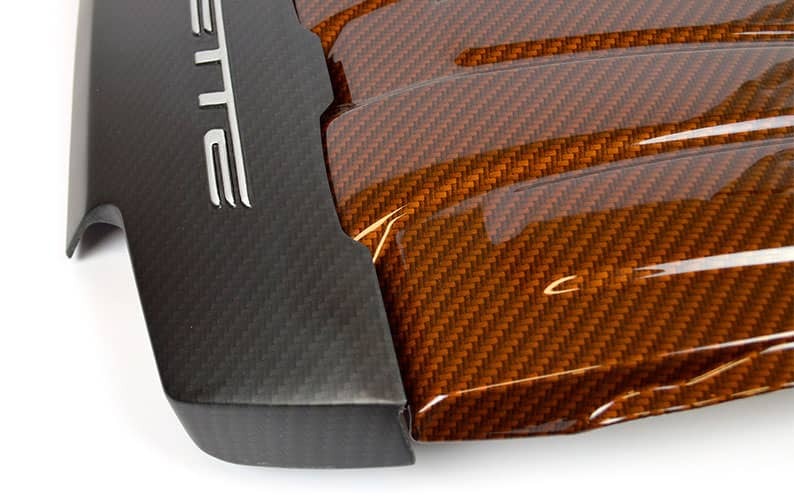 Our Sport Carbon pattern wrapped perfectly around the contours of this part with no distortion or color fading. 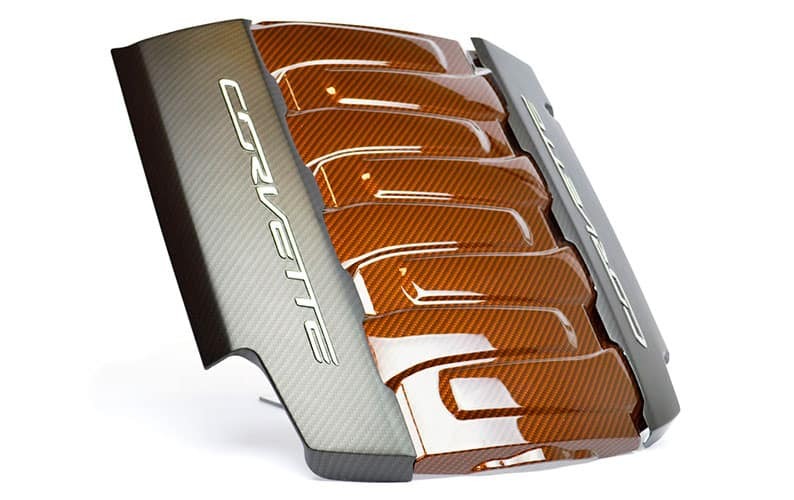 This Corvette C7 engine cover and fuel rail covers were customized with our Sport Carbon film and a unique combination of base coats and top coats. We used an atomic orange base coat on the engine cover and paired it with our high gloss finish. On the other hand, we used a charcoal base coat and our 15% Sheen clear coat on the fuel rail covers to establish contrast between the two parts. Our Sport Carbon pattern was designed to transform any item to match the carbon fiber weave found in high-end automobiles and supercars. A highly-detailed weave structure and smooth gradients within the pattern give Sport Carbon boundless depth and distinction. Sport Carbon yields a sophisticated and stylish design. 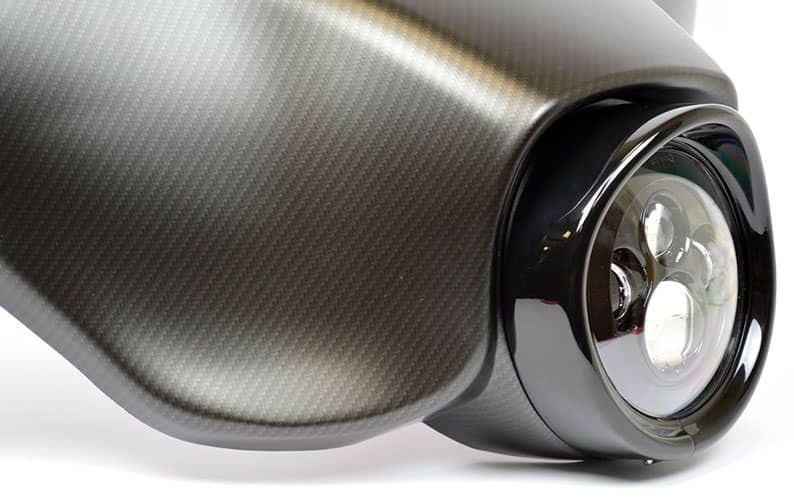 When paired with our 15% Sheen Clear Coat, the finish is virtually indistinguishable from true carbon fiber. 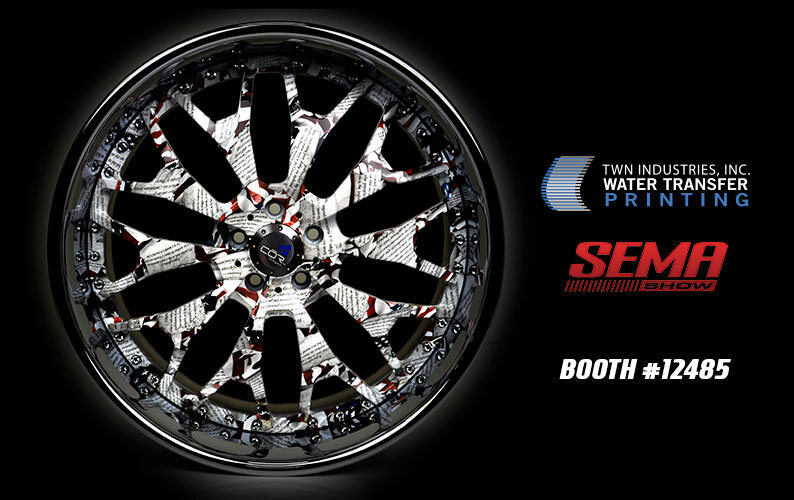 We will be debuting Sport Carbon on the Harley fairing, Corvette C7 engine cover, and a Cor wheel at the SEMA Show in Las Vegas from October 31st to November 3rd, 2017. Come visit us at Booth #12485 to check out these remarkable pieces in person.